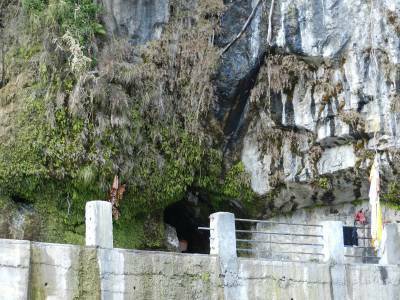 A sacred place located at Rudraprayag district of Uttarakhand, Koteshwar temple is dedicated to the mighty Lord Shiva. 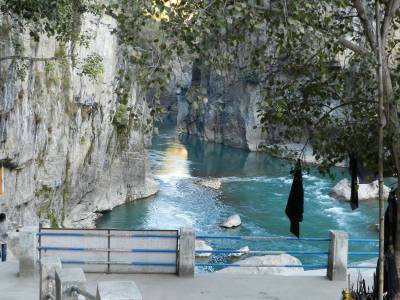 It is located on the holy bank of the river Alaknanda. 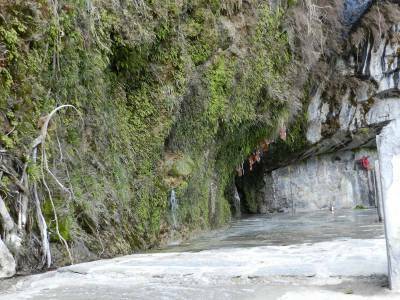 The Koteshwar Mahadev temple has a scenic location and is in a cave with the river flowing by in its full natural beauty. The temple is said to bear historic and has a legendary background and is revered for it. Koteshwar temple is a place where Lord Shiva himself stopped so that he could meditate while he was going to Kedarnath. The temple has been here since the time of Bhasmasur as it relates a story between Lord Shiva and Bhasmasur. Bhasmasur, the demon had a power which granted him the power to turn anyone into bhasma or ashes. He tried to take the power out on Lord Shiva and so Lord Shiva kept wandering in different places. 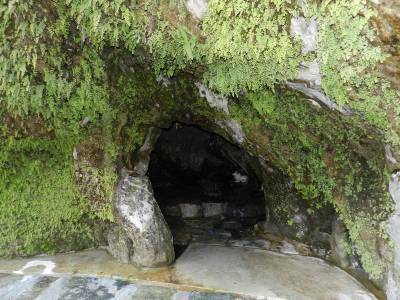 Lord Shiva finally stopped at this cave and meditated to the name of Lord Vishnu who came and rescued him and killed Bhasmasur. The place later became a temple known as Koteshwar Temple. 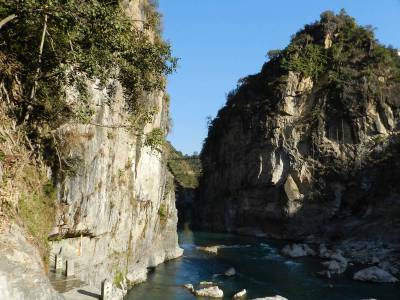 It lies just 3 kms away from Rudraprayag and can be reached by road. The nearby railway station to it is Dehradun from where the road transportation will take you to the temple. Get quick answers from travelers who visit to Koteshwar Mahadev Temple.